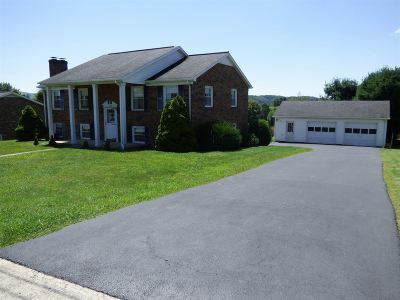 Well maintained Traditional style home with 4BR 3BA with all new carpet, large rooms, 2 fireplaces, two car detached garage. Home is located minutes from shopping, dining and hospital. Great location, with great views. Directions: From I81 N Take Exit 70, Turn Right Off Ramp, Continue To Traffic Light , Turn Left At Light And Then Left Onto Tazewell Street, Continue 1/4 Miles Turn Left On Valley Street, At Stop Sign Turn Left On Fisher Rd. Turn Right On Umberger St., At Stop Sign Turn Left Onto N 11th St. House On The Left.